Last year on a fall day we went to visit Casa Costa Foru, temporarily opened at that time for the public. 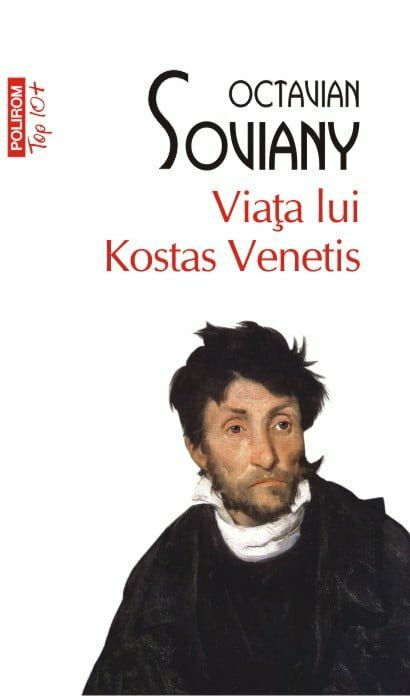 On this occasion, I witnessed a literary lecture where a chapter of Kostas Venetis’s life was read by Octavian Charlotte. I must say that the read chapter was especially chosen for the audience of that evening because the stories were spent a few hundred meters from the house we were on Metropolitan Hill. This detail, along with the idea that I really wanted a souvenir that would remind me of that day-and what better souvenir to remind you of a literary evening than a book-convinced me to buy the book and to discover in detail the life of this character at least despite T.
The book lying a few months on a specially arranged table for the books bought in this time. In the new house where we moved, we still don’t have the library, and the cards stand where they go. Call it professional deformation, but I make real nervous breakdowns when someone bends my sheets–the bills from the blackboard, but worse react if someone bends and dirtys my books. So, even in all the messs of the new house, the cards are put in place, somewhere where dust and other people can’t touch them! I started reading it on the plane on the way back from vacation. The flight was late at night, and I umblasem all day Hai hui through nice. I was bored to death but the novel managed to turn a long, boring flight into one that passed very quickly. „I gave for the first time over the name of Kostas Venetis in a letter to my friend N. I, who discovered him among the crosses of a Viennese cemetery.” „With the weather, the name of Kosas Venetis began to follow me persistent, to the auctions of old manuscripts, where my love Neostoita me for all sorts of junk.” „After many hesitations I decided to talmacesc and publish part of my little archive Kostas Venetis”. How many writers do not want such a „sign” of guidance to the „must” written! I thought it was fascinating that the recurring one name appeared relentlessly in the author’s life, as if this story had to be said. I was under the impression that the novel must be read twice. Once to override the shocking descriptive elements and to know the story, and the second time to deepen the psychological and religious side of the character. A book that’s shock you since the beginning of the story, and the sensation persists long after you’ve finished reading.